The Rainbow is an arc shaped trail feature which provides riders with a gradual climb and a smooth decent. 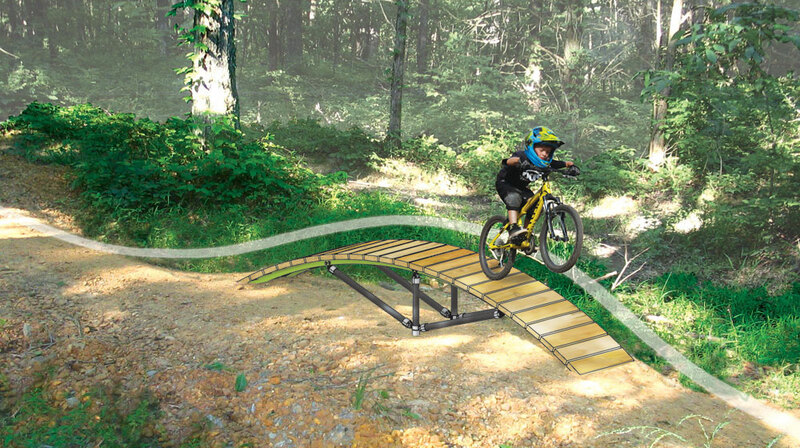 By linking the Rainbow with other FlowForm features in a trail design you can create endless possibilities for a fun and challenging riding experience. Small - Height: 1' 3" / Length: 8' 6" / Width: 1' 6"
Medium - Height: 2' 1" / Length: 12' 6" / Width: 1' 6"
Large - Height: 2' 9" / Length: 14' 4" / Width: 1' 6"
Every project is unique and requires special considerations. Contact us today to determine what the best solutions are for your park!